When Premier Personal Care, Inc. was founded in 2008 by a group of local physicians, it was with the goal of improving the quality of life for our clients. We work with seniors, as well as adults suffering from debilitating injuries, mental diseases, or recovering from an accident or surgery. 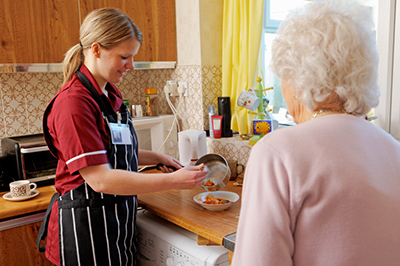 As a non-medical care agency, we provide each individual with the in home support needed. Premier Personal Care understands we are entrusted with the care and responsibility, and we accept this responsibility very seriously. As a result, each of our caregivers must undergo and pass, a rigorous screening process and background check prior to being hired. Once hired, caregivers are provided with additional training on-site in the homes of our clients to assure we are meeting the unique wants and needs of every client. To ensure ongoing customer satisfaction, we supervise our staff and administer performance and satisfaction surveys for our clients and or families to periodically complete. Premier Personal Care, Inc. is there to assist every client and to make their life as normal as possible. Our caregivers support every client to best maintain, and even regain the freedom to enjoy and lead a dignified life in his/her own home. From washing dishes and sweeping the floor, to playing cards and swapping stories, our caregivers are trained to provide our clients with that which they want and need most, in order to make their lives better. This could include cooking meals and taking care of pets. We have always believed and are committed that in-home care is most often the best option available to those in need of assistance to achieve the quality of life each deserves. Clients are less likely to fall or have an accident when home. Familiar surroundings also make a client’s day comfortable, pleasant and less stressful. This is particularly important for clients suffering from dementia or Alzheimer’s. In-home care also provides better opportunities for families to visit while knowing their loved one is being cared for at home rather than in an institutional setting. Premier Personal Care, Inc. is equipped and able to manage any non-medical care needed. Contact us today to schedule a consultation or for more information.